22 Aug 2011 - Derek Walker reported: I went past here today and took some new pics, she has just been painted, and is in a very good condition. She is really looking good, although I still think it should have been a darker green. 22 Aug 2011 - Photo courtesy Derek Walker : Note she also has that odd hole in the frame under the cab. This standard design 4-8-2T (20"x24") industrial tank locomotive was built in 1937 in Glasgow by North British Locomotive Co. as works number 24386. 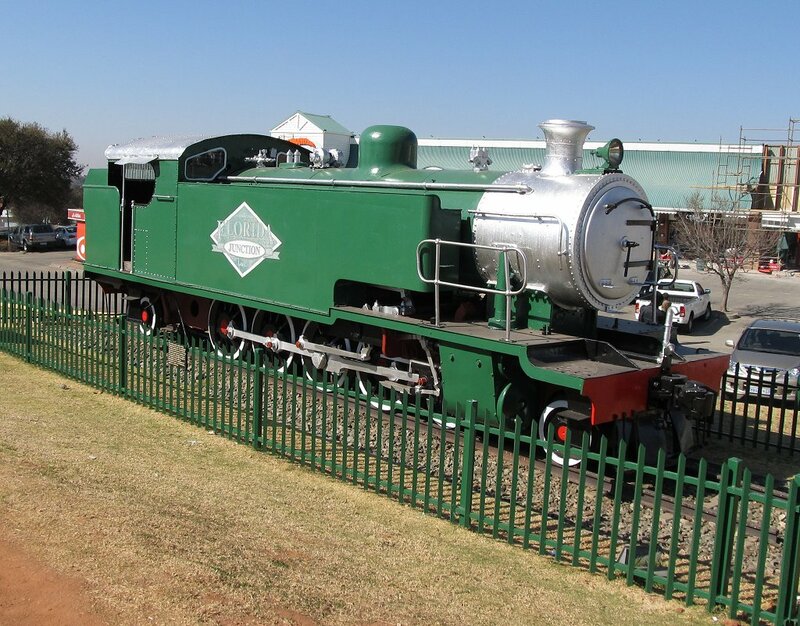 Over 50 of these standard NBL 4-8-2T and 4-8-4T locomotives were delivered for service at South African mines. 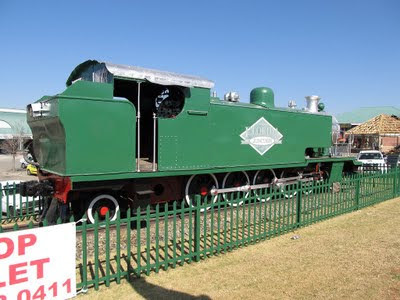 This one first saw service as No 1 at Witbank Colliery Ltd. Later the locomotive did service at Vanwyksdrift as part of the Douglas Colliery Ltd rolling stock. The Vanwyksdrift mine is just north of the SAR yards at Vanwyksdrift (abt. 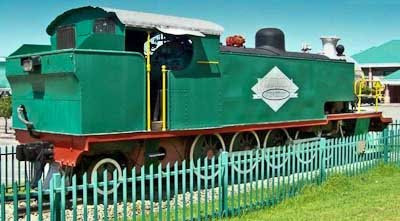 30 km south of Witbank) and is connected by a short branch line. The locomotive was used to haul block coal trains through to the SAR yards. Eventually the locomotive became out of use, and was stored at the mine's workshops for some years until it was donated to the Railway Preservation Group in Randfontein. 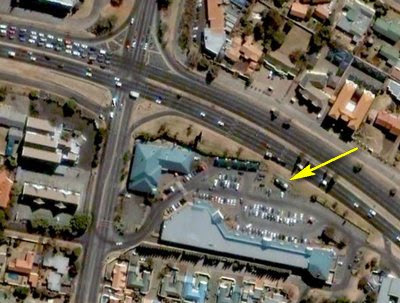 Roodepoort - Florida Junction shopping centre from the air - ARROW points to plinthed North British Locomotive works #24386 4-8-2T industrial locomotive. This locomotive is plinthed next to the parking area of the Florida Junction shopping center, cnr Ontdekkers Road and Christiaan De Wet Rd in Florida Park, Roodepoort.